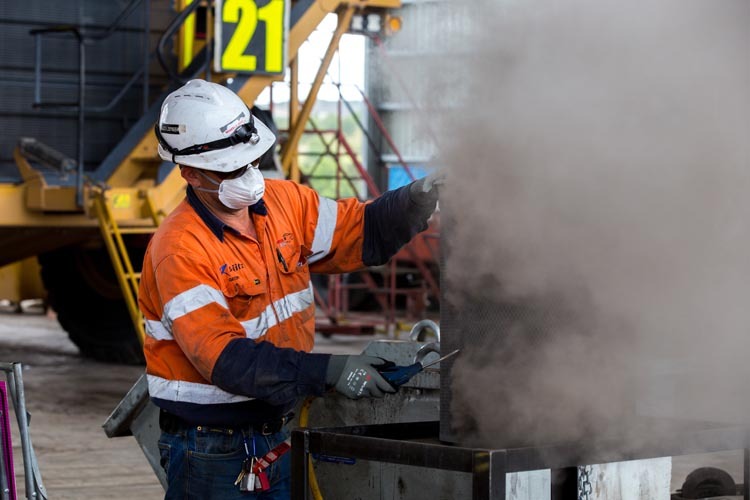 Coal workers’ pneumoconiosis (CWP), also known as ‘black lung’, is one of several respiratory diseases caused by long-term occupational exposure to high concentrations of respirable coal dust. Related dust lung diseases include silicosis, mixed dust pneumoconiosis and chronic obstructive pulmonary disease. 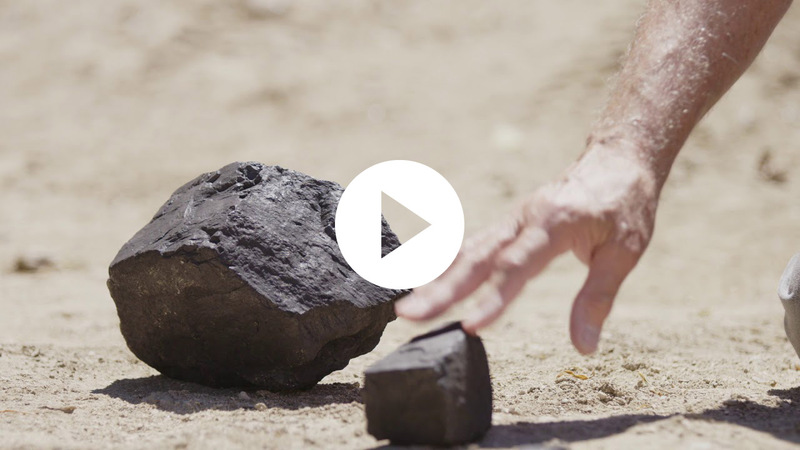 As a group, these diseases are called ‘coal mine dust lung diseases’ or CMDLD. CWP, along with other diseases in the CMDLD group, are progressive diseases. CWP can take over 10 years of prolonged dust exposure to develop and even longer to produce symptoms. In some cases, workers can get signs of early CWP sooner. This can be due to the level of dust, but also individual susceptibility.The longer a person is exposed to high concentrations of respirable dust, the more serious and life-altering the disease becomes. 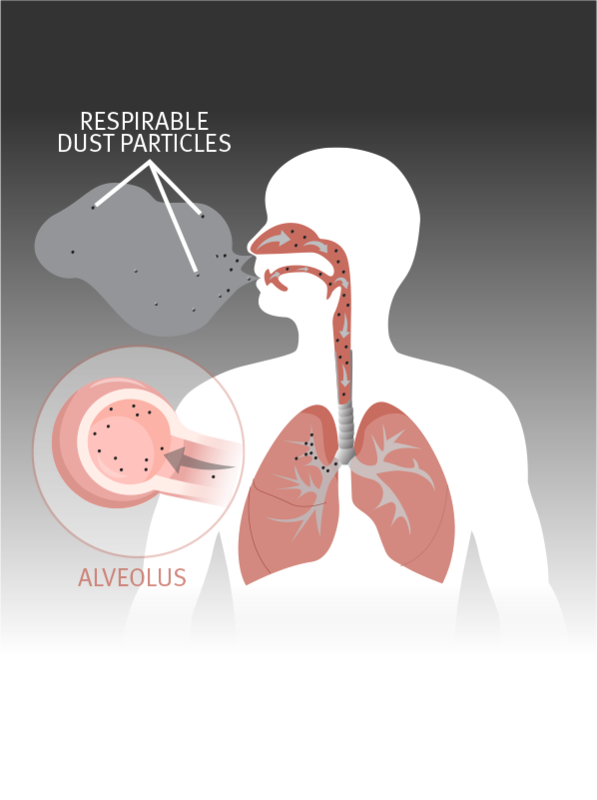 The good news is that limiting exposure to respirable dust can stop the development of the disease in its early stages. When it comes to dust, size matters. The dust particles created by mining fall into 2 size categories, each with different effects on the human body. It’s exposure to high volumes of ultra-fine respirable dust over an extended period of time that can lead to the development of a dust-related lung disease like CWP. Silicosis is another coal mine dust disease, caused by respirable crystalline silica dust rather than coal dust. Silicosis develops faster than CWP and is considered more dangerous, as silica dust is known to cause lung cancer. When it comes to dust, size matters. It’s exposure to ultra-fine dust, invisible to the eye, that can lead to CWP. The longer the exposure, the more serious and life-altering the disease becomes. Under normal conditions, the lungs can remove small quantities of respirable dust. But, when exposed to a high volume of dust, the particles can become trapped in the tissue, causing irritation and triggering a response from the immune system. Immune cells repeatedly try to heal the irritated area and small scars begin to form. This is called fibrosis. If enough scar tissue forms, lung function can be reduced. The collections of dust and scarring may later show up as small round nodular shapes on a chest X-ray. The following images show how CWP and silicosis develop. 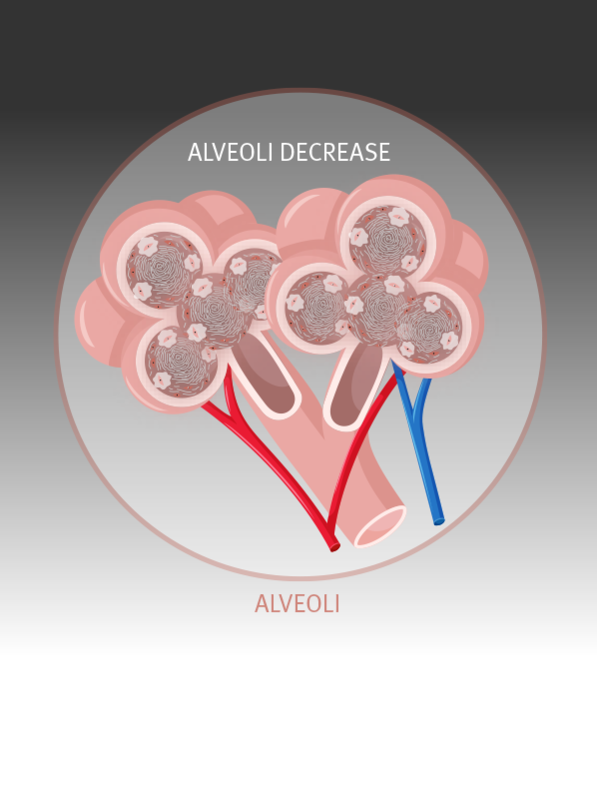 Alveoli are tiny air sacs responsible for exchanging oxygen and carbon dioxide with the blood. 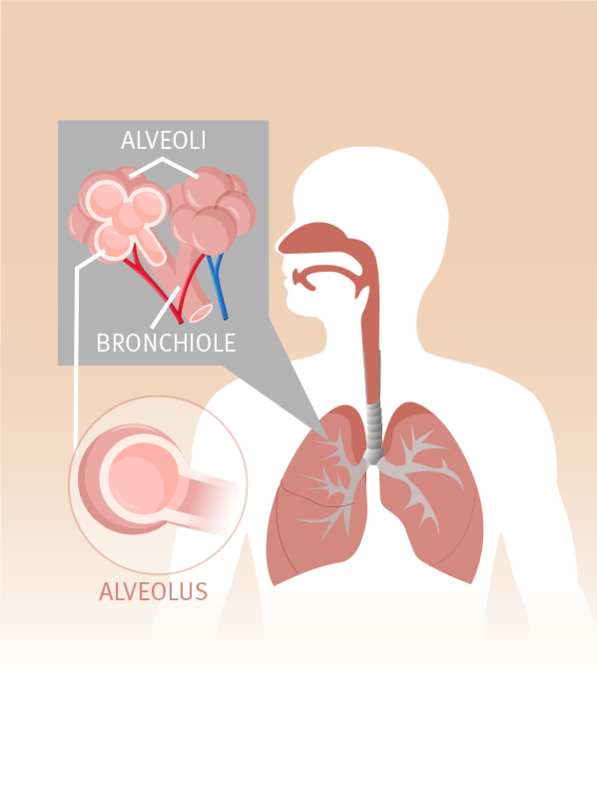 A typical pair of lungs contain approximately 700 million alveoli. 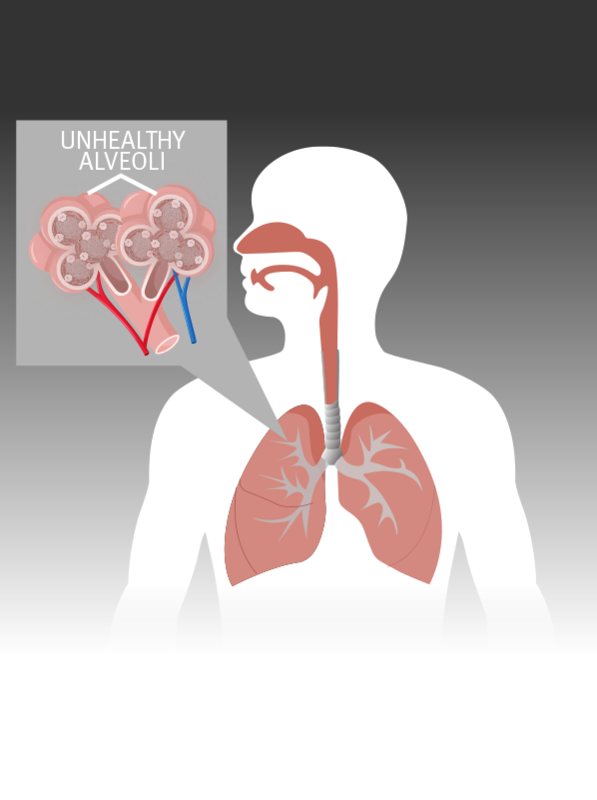 Because respirable dust particles are so small, they’re able to travel all the way into the alveoli, where they can cause irritation inside the air sac. In response to the dust particles, the lung’s defence mechanism kicks in. Macrophages, a type of white blood cell, engulf the dust particles to destroy or clear them away. They send out chemicals to attract more macrophages and other similar types of cells. They work together to engulf and clear the dust particles. If the concentration of dust is too high, a wider immune response is triggered by the macrophages. Fibroblast cells produce collagen to form nodules of scar tissue around the particles in an attempt to trap the coal-laden macrophages. Over time, with continued overexposure to respirable dust, the process repeats many times and more nodules of scar tissue form. 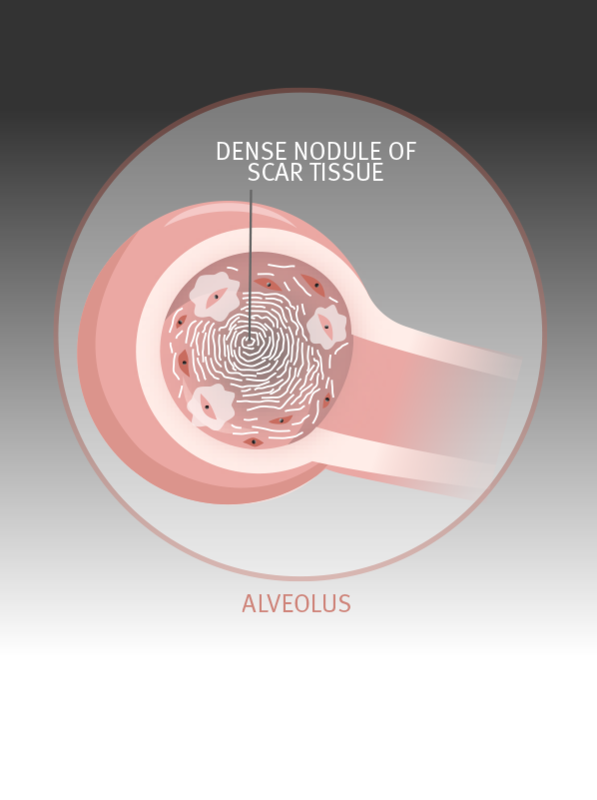 Overcome with scar tissue, the alveoli become unable to function normally, reducing the transfer of oxygen into the bloodstream. With continued overexposure to respirable dust, the scarring becomes so extensive that it becomes hard to breathe deeply. The amount of oxygen entering the bloodstream is also reduced. There are 2 types of CWP: simple and complex. The diagnosis is based on the level of progression of the disease. Simple CWP can progress to complex CWP if dust exposure continues. Complex CWP is also known as progressive massive fibrosis or PMF. Limiting exposure to respirable dust can stop the development of the disease in its early stages. Quitting smoking is one of the most important things you can do to protect yourself from CWP. Anybody exposed to harmful levels of respirable dust is at risk of developing a dust-related lung disease. Your risk level is directly linked to your total level of exposure and some personal risk factors. 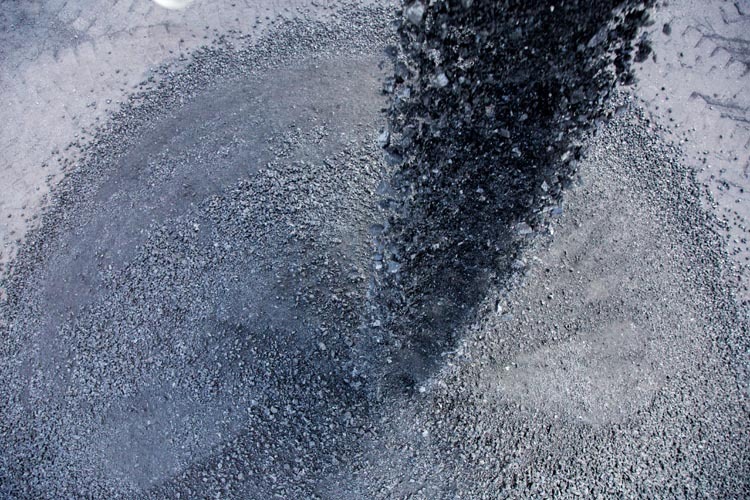 CWP is caused by exposure to high levels of respirable dust over a long period of time. It’s important to remember that under normal conditions, your lungs’ defence systems can easily handle respirable dust particles. Frequent exposure to high concentrations of dust can overwhelm the defence system, causing the development of scarring. You will not develop CWP after one shift of high exposure. 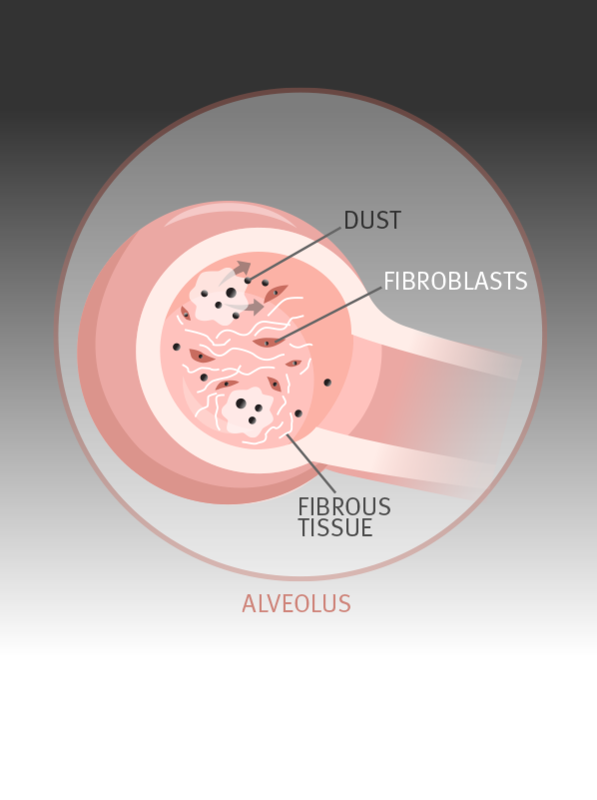 It takes years for dust build up in the lungs to cause the onset of the disease. For a full overview of workplace exposure risks, read about CWP prevention. No one is sure why some mine workers develop CWP, and others don’t, even if they are exposed to the same working conditions. Research is ongoing, and there is some suggestion that if you’ve had tuberculosis, or have a family history of rheumatoid arthritis, you may be more likely to develop CWP. Smoking has been established as one of the key individual risk factors and quitting smoking is one of the most important things you can do to protect yourself from CWP. Why do doctors advise miners exposed to dust to stop smoking? 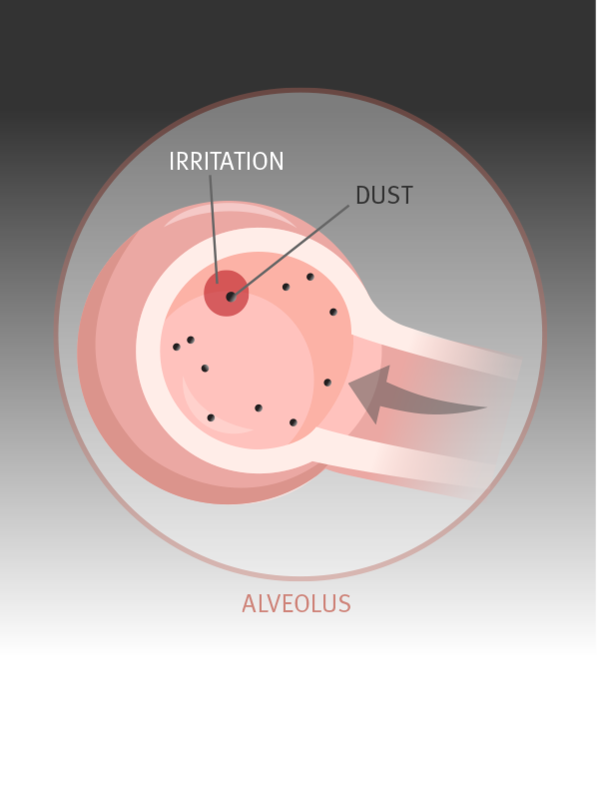 Smoking interferes with the lung’s ability to clear dust which increases the risk of getting a mine dust lung disease. Coal mine dust and tobacco smoke exposure both cause emphysema (an obstructive disease of the lung). A study by the US National Institute for Occupational Safety and Health (NIOSH) found that cumulative coal dust exposure and cigarette smoking each increased the severity of emphysema. However, the study could not tell whether the obstructive lung disease was caused by coal mine dust or by smoking. 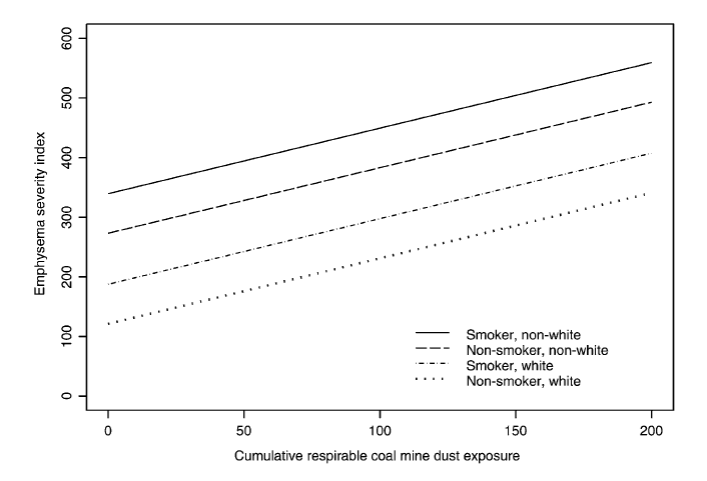 The graph shows that exposure to coal dust increases emphysema (destruction of lung tissue) faster in smokers than in non-smokers. If you have a simple case of CWP, avoiding further exposure to harmful dust and irritants (like cigarette smoke or diesel fumes) may stabilise the disease. You should also improve your general respiratory health through exercise and diet programs. In more serious cases of CWP, lung transplants have been successfully performed. For more information on pulmonary rehabilitation, speak to your respiratory physician or visit the Lung Foundation Australia website.